One of my favorite things to have for dinner is a vegetable stir-fry. The best thing about a stir-fry is that there is really no wrong way to make it. You can add whatever your favorite vegetables are and experiment with all different types of sauces and spices to make it just how you like it. I don’t like my stir-fry too spicy, so I keep it pretty tame, but there’s a lot you can do to spice it up. Not only is it versatile, but it can be made with all the vegetables you didn’t get to eat at the end of the week! It can be whipped up in no time- quickly after work, before class, or after a gym session ran a little late. 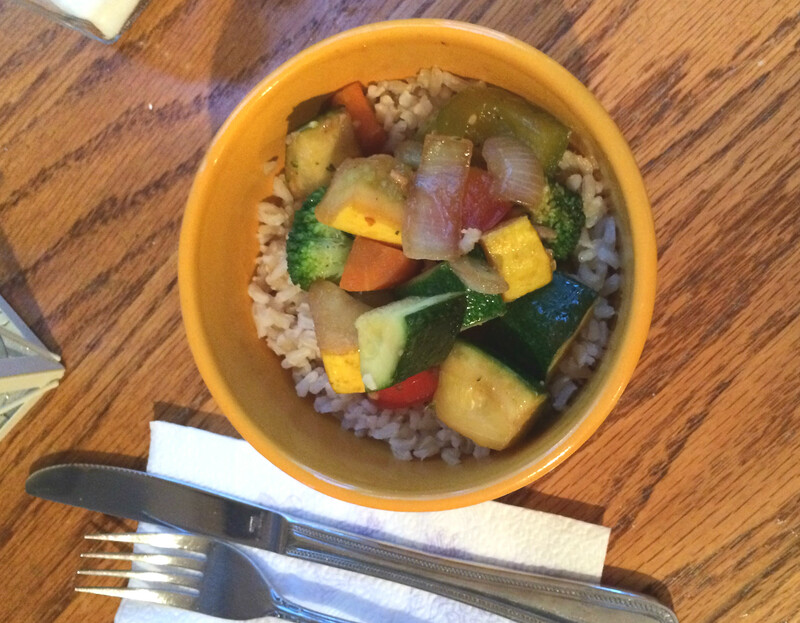 Plus, its easy to get your serving of vegetables in for the day with a stir fry. 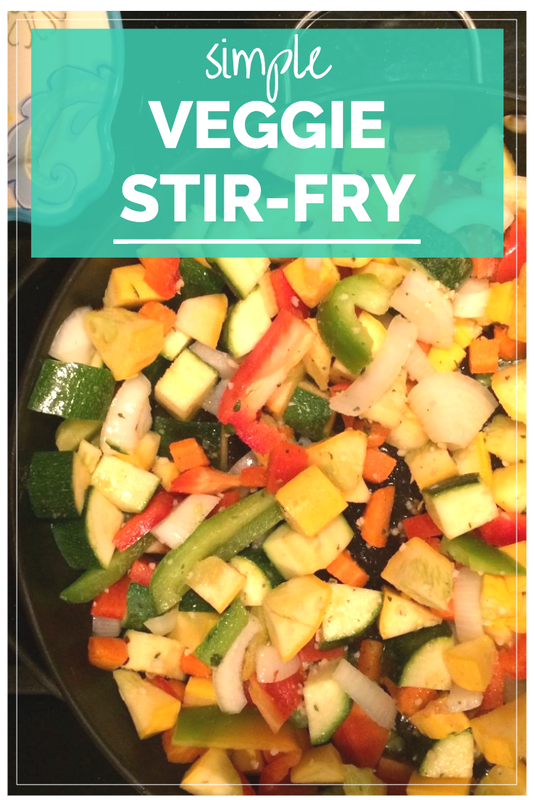 This stir-fry recipe can be used as a guideline to make your own. I put my stir fry over brown rice, but it can be eaten over your favorite pasta or even couscous. 1. 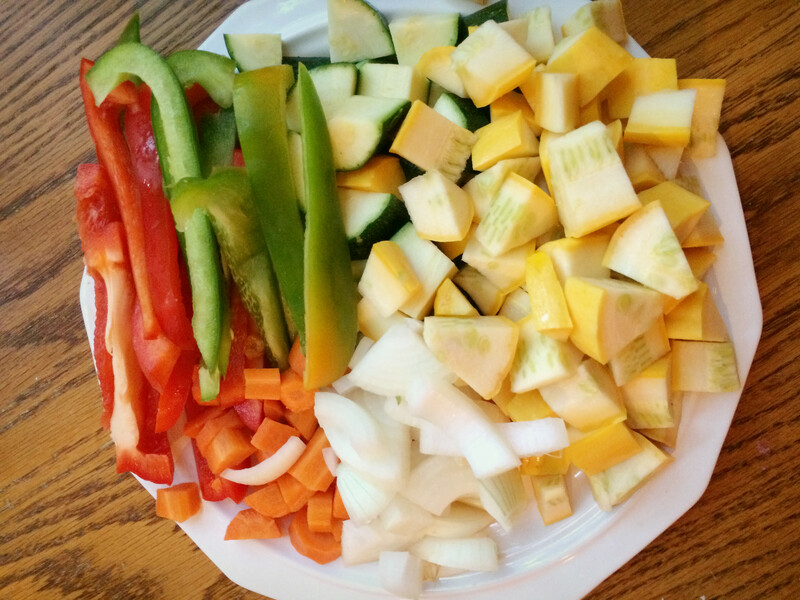 Start with chopping all your vegetables. Try to make them as close in size as possible, so they cook evenly (unlike mine in the picture above!). 2. Heat a large frying pan and add about two tablespoons of olive oil and garlic until it simmers. 3. Meanwhile, bring a medium sauce pan filled with water to a boil. Depending on what starch you chose, the cook time and directions will vary. I use a simple “boil in bag” brown rice which takes only a few minutes once the water gets boiling! 3. Add the vegetables to the frying pan that are more dense and likely to take longer to cook, in this case: onions, broccoli and carrots. Add desired amount of soy sauce (I normally add a few teaspoons). Fry for about 1-2 minutes before adding the rest of your vegetables. 4. Serve over your rice (or pasta, or whatever you chose! ), add a dash of salt, and enjoy. What are your favorite ingredients for a vegetable stir-fry?